Our Top Dollar marketing system is based upon a patented pre-marketing program, 2 for 1 prep for sale guidance, staging advice, strong internet presence, strategic comments using buzz words, superior communication skills to facilitate the maximum activity possible, and specific area experience to anticipate and solve problems before they arise both prior to, and once in, contract. We have sold over 1100 homes in the area and feel strongly that we have our finger on the pulse of the market. 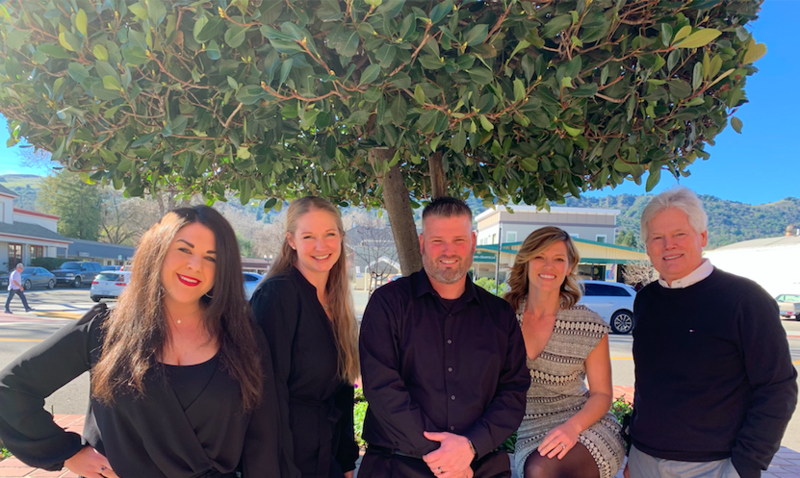 We also feel strongly, being a multi-generational team who works with many buyers as well as sellers, that we can truly get in the minds of potential buyers because we understand where they are coming from and what they are looking for. Preparation for sale is something we take great pride in. We use the 2 dollars made for every 1 dollar spent mentality and we offer guidance that is always based on what we would do if it were our home. We have contractors for just about every repair / remodel you can think of and we work side by side with our sellers to oversee the prep for sale project from start to finish. So if you are considering selling your home, even if it is years down the road, it is wise to let us collaborate with you to put together a plan that will generate you the maximum return. We build our marketing campaign with the buzz words we know will catch a buyers eye. We would take this strategic commentary and build an email that is sent to our 1500+ contacts comprised of civilians (non Realtors) and agents who we know do the lions share of business in our area. We also utilize our Top Agent Network database with the top 10% of the agents as a members only system. We send this email out as much as 21 days prior to going on the market or less than a week – depending on the set of circumstances. This allows us to begin collecting names of interested parties without wasting days on market (DOM’s). We put the address and price on our website with coming soon, order the coming soon sign up and fill the brochure box with preliminary black and white informational flyers, and announce the listing in our office meeting. When we are ready to hit MLS we will hit the ground running using the momentum of the premarketing. We pair our commentary with our professional photographer’s fantastic camera work to put out a set of still shots along with virtual tours creating an online viewing experience that is impressive. This is our first impression. No longer is the first impression made in person, it is made online. Therefore professional photos are a must. We take this presence and we make it consistent for all the websites we utilize. We have our own main website, with 5+ different URLs depending upon target audience, Compass.com, Realtor.com, plus personal profiles which syndicate our listings on Zillow, Trulia, Movoto, Redfin, and much more. Plus, we actively use 5 of our Facebook accounts totalling over 1000 “friends,” our 4 twitter accounts which are constantly “tweeted,” LinkedIn, Instagram & so much more. Being that we are longtime Contra Costa County residents our social media presence has that much more traction due to our social network. It is hard to track our true web presence because Compass does so much on top of what we do, but it may be safe to say that we touch over 100 websites when it is all said and done. The theory is to create a funnel that feeds directly to our main points of contact – our cell phone number and email address. By the way, we own most of the misspelled versions of our email addresses in case someone tries to reach out to us and can’t spell. On top of the online presence, which is so crucial, we utilize the East Bay Times and other print media depending on the circumstances. We feel open houses are very helpful when marketing a home and we advertise them just as strongly as we advertise our listings themselves. While we don’t feel an open house every Saturday and Sunday is necessary (in fact it can be construed as desperate or water down perceived activity), we do feel a strategic frequency is very appropriate. The intangible aspect of our marketing program is the communications. We share the same theory that TIMELY communications are key to success in most industries. The consumers and their agents want information and feedback now, and they want it detailed. This technique allows us to play interested parties against each other (ethically and tactfully) and if nothing else allows us to constantly point out the positive points of the property (not a hard sell because that turns everyone off these days, especially on the west coast). Maybe the most underrated aspect of “marketing a home” is actually closing the deal. Contract/transaction management is HUGE in this day and age. There are thousands of ways to easily mess up and kill a deal, but very few ways in which to manage it to a successful conclusion. With Stacy Hoekman heading up this Department, we like to think that our attention to detail allows us to both move towards close but more importantly manage in-transaction negotiations to the maximum benefit of our clients. For sellers, another big Torrey Team Advantage is our appraisal technique. Every buyer who obtains a loan is going to need an appraisal. The laws state we cannot pick the appraiser, nor can they. We can’t even initiate contact with the appraiser. However, we can meet that appraiser by making them come through us for access to do the appraisal inspection. This makes us on call for this appointment but is worth the effort to ensure we get a chance to meet that appraiser and see that they are not missing any major aspect of the proper valuation. An appraisal that comes in less than contract price is a problem to say the least. So, since the average age of an appraiser in the state of California is 59.5, and Pete knows just about everyone in the business anyway, Pete is chairman of our appraiser welcoming committee. On top of that we play good cop bad cop with agents, we find ways to lose the battle and win the war, etc. We have seen it all and are always learning from every experience to the benefit of our next client. We could go on and on about any of the aspects of above but we think you get the idea of what we do. We are a family team that is full time +. We are not trainers of other agents, members of committees at the board of Realtors, managing brokers of our company, nor do we hold any other positions that take away from our primary focus which is our clients. We are built on referrals and therefore treat everyone like family so they will refer us THEIR family. So far after 42 years and over 1200 transactions it is working out very well.